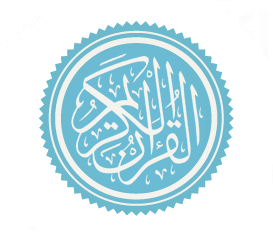 The Holy Spirit (Arabic: الروح القدس‎, al-Rūḥ al-Quddus) also known as Jibrayil described in the Islamic faith is mentioned several times in the Qur'an, and is generally interpreted by Muslims as being the same Holy Spirit that is referred to in both the Old and the New Testaments of the Bible. The Arabic phrase "al-Quddus" (القدس) translates to English as "the Holy One" or "the Exalted One". Jerusalem, considered a holy site in Islam, is referred to in Arabic as "Bayt al-Muqaddas" (بيت المقدس), a term which has the same phonetic root as the Arabic phrases "al-Quddus" and "al-Quds". "Al-Quddus" is also one of the 99 Names of God in Islam. Muhammad spent 11 days on this expedition and then returned to Medina. Islamic tradition states that Gabriel was also involved in the Invasion of Banu Nadir. Muslim scholars (like Mubarakpuri) claim, the Banu Nadir were attacked because the Angel Gabriel told Muhammad that some of the Banu Nadir wanted to assassinate him. Watt contends it was in response to the tribe’s criticism of Muhammad and doubts they wanted to assassinate Muhammad. He says "it is possible that the allegation was no more than an excuse to justify the attack". He was also apparently involved in the Invasion of Banu Qurayza. According to The Sealed Nectar, a modern Islamic biography of Muhammad written by the Indian Muslim author Saif ur-Rahman Mubarakpuri, the Angel Gabriel visited Muhammad while he was washing clothes at Umm Salama’s house, asking that he should unsheathe his sword and to go to the Banu Qurayza and fight them. Mubarakpuri claims Gabriel said that he with a procession of angels would go ahead the fort of Banu Qurayza and cast fear in their hearts. This is also mentioned in the Sunni hadith collections in Sahih al-Bukhari, 4:52:68 . “ The Messenger of Allah returned to Al-Madinah in triumph and the people put down their weapons. While the Messenger of Allah was washing off the dust of battle in the house of Umm Salamah, may Allah be pleased with her, Jibril, upon him be peace, came to him wearing a turban of brocade, riding on a mule on which was a cloth of silk brocade. He said, "Have you put down your weapons, O Messenger of Allah" He said, "Yes" He said, "But the angels have not put down their weapons. I have just now come back from pursuing the people." Then he said: "Allah, may He be blessed and exalted, commands you to get up and go to Banu Quraiza. According to another report, "What a fighter you are! Have you put down your weapons" He said, "Yes". He said, "But we have not put down our weapons yet, get up and go to these people." He said: "Where?" He said, "Banu Quraiza, for Allah has commanded me to shake them." So the Messenger of Allah got up immediately, and commanded the people to march towards Banu Quraiza, who were a few miles from Al-Madinah. This was after Salat Az-Zuhr. He said, No one among you should pray `Asr except at Banu Quraiza. "And verily we gave unto Moses the Scripture and We caused a train of messengers to follow after him, and We gave unto Jesus, son of Mary, clear proofs (of Allah's sovereignty), and we supported him with the Holy Spirit." "Of those messengers, some of them We have caused to excel others, and there are some unto whom Allah spake, while some of them He has exalted in degree; and We gave Jesus, son of Mary, clear proofs (of Allah's sovereignty) and We supported him with the Holy Spirit." "(The day) when God saith: 'O Jesus the son of Mary! Recount My favour to thee and to thy mother. Behold! I strengthened thee with the Holy Spirit, so that thou didst speak to the people in childhood and in maturity." "Say: the Holy Spirit has brought the Revelation from thy Lord in Truth, in order to strengthen those who believe, and as guidance and glad tidings to Muslims." "And (remember) her who guarded her chastity: We breathed into her of Our Spirit, and We made her and her son a sign for all peoples." "Raised high above ranks (or degrees), (He is) the Lord of the Throne (of Authority): by His Command doth He send the Spirit (of inspiration) to any of His servants he pleases, that it may warn (men) of the Day of Mutual Meeting." "Thou wilt not find any people who believe in God and the Last Day, loving those who resist God and His Apostle, even though they were their fathers or their sons, or their brothers, or their kindred. For such He has written Faith in their hearts, and strengthened them with a Spirit from Himself." "And Mary the daughter of 'Imran, who guarded her chastity; and We gave to her of Our Spirit; and she testified to the truth of the words of her Lord and of His Revelations, and was one of the devout (servants)." "They do blaspheme who say: God is one of three in a Trinity: for there is no god except One God. If they desist not from their word (of blasphemy), verily a grievous penalty will befall the blasphemers among them. "Say: He is God, the One and Only; God, the Eternal, Absolute; He begetteth not, nor is He begotten; And there is none like unto Him. "Say: "O People of the Book (i.e., Jews and Christians)! Come to common terms as between us and you: That we worship none but Allah; that we associate no partners with Him; that we erect not, from among ourselves, Lords and patrons other than Allah." If then they turn back, say ye: "Bear witness that we (at least) are Muslims (bowing to Allah's Will)." In the view of Muslims the term al-Ruh al-Quddus refers to the Archangel Gabriel (referred to as Jibral, Jibrīl, Jibrael, 'Džibril, Jabrilæ or Jibrail (جبريل, جبرائيل, , [dʒibrɛ̈ʔiːl], or [dʒibriːl]) in Islam), the archangel who, according to the Qur'an, was assigned by God to reveal the Qur'an to the prophet Muhammad. He is also the angel who delivered the Annunciation to Mary. In the two suras in which the Qur'an refers to the angel Gabriel, it does so by name. However, some hadith and parts of the Qur'an may arguably lend support to the alternative view. It is narrated in hadith that the angel Gabriel accompanied Muhammad during the Mi'raj, an ascension to the heavens in which Muhammad is said to have met other messengers of God and was instructed about the manner of Islamic prayer (sujud). (Bukhari Sahih al-Bukhari, 1:8:345). It is also held by Muslims that the angel Gabriel descends to Earth on the night of Laylat al-Qadr ("The Night of Power"), a night in the last ten days of the holy month of Ramadan (Islamic calendar) which is said to be the night on which the Qur'an was first revealed. ^ "English Translations of Al-Quran - 3 English Translations of Al-Quran & 1 Commentary of each Surah (97. Al Qadr)". alquran-english.com. Retrieved 27 October 2011.